Chicago cyclists will soon be able to Divvy further north, west and south, thanks to a major expansion. The mayor's office announced Tuesday that the bike-share program will add 176 new stations -- and 1,760 new bikes -- by June. Most of the new stations will reach neighborhoods that were previously not serviced by Divvy. "Bike sharing like Divvy works best when more neighborhoods are served, and in the next few months Chicago will have the largest service area in North America," Mayor Rahm Emanuel said in a statement. Previously, cyclists could only find Divvy stations in the Loop and its nearest neighborhoods. With the new expansion, stations will be added as far north as Touhy Avenue, as far south as 75th Street and as far west as Pulaski Road. The total area serviced by Divvy will nearly double due to the expansion, according to the mayor's office. 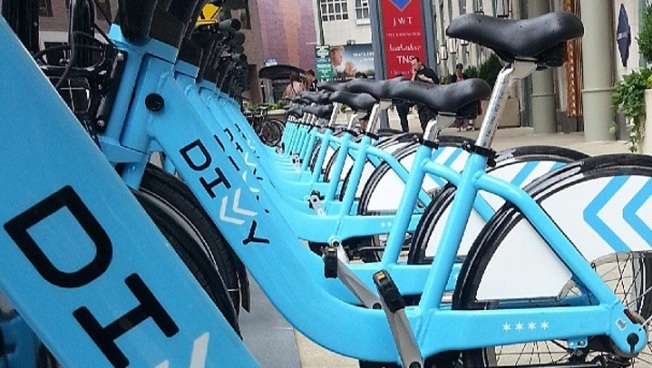 In addition, 33 of the city's 50 wards will have Divvy stations by the end of the expansion. This number is up from 19. You can check the progress of the expansion by viewing the map of Divvy stations. The areas in red represent the new Divvy stations that will be added in the expansion. The areas in blue show existing Divvy stations.